A-HOTEL.com - Luxury and cheap accommodation in Kondoku, Russia. Prices and hotel, apartment booking in Kondoku and surrounding. Set in Kostomuksha, Khozyayushka offers a shared lounge. Among the facilities of this property are a restaurant, a 24-hour front desk and an ATM, along with free WiFi. Featuring free WiFi, Guest Rooms offers accommodation in Kostomuksha. Free off-site parking is available. Guest House Kotiranta offers rooms in Kostomuksha. All rooms feature a kitchen, a flat-screen TV with satellite channels, and a private bathroom. Situated in Kostomuksha, Hotel NORD features free WiFi. 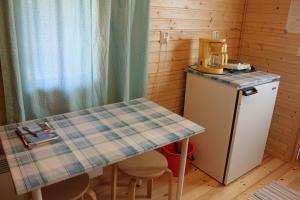 Among the facilities of this property are a restaurant, shops and sauna. Featuring ski-to-door access, Guest House U Mikhailicha is set in Kostomuksha and also provides barbecue facilities and a terrace. A sauna and a bicycle rental service are available for guests. Set in Kostomuksha, Turisticheskiy complex Fregat features accommodation with a TV. Complimentary WiFi is featured. Offering a sauna and a private beach area on Lake Podkova, Podkova Hotel is located in the picturesque area in Kostomuksha, Free Wi-Fi and free parking are available. Each room here will provide you with a TV and satellite channels. Set in Lentiira in the Eastern Finland region, Lentiira Holiday Village features accommodation with free WiFi. All self-catered units feature parquet floors and are fitted with a flat-screen TV, an equipped kitchenette with a microwave, and a private bathroom with shower. Joutsenniemi is located in Kuumu. The chalet is in an area where guests can engage in activities such as fishing and canoeing. Eteläranta is situated in Kuumu and offers a private beach area. This chalet offers barbecue facilities. Boasting barbecue facilities and a restaurant, Raatteen Guest House Karelia is located in Suomussalmi. The property features a garden, as well as a shared lounge. Holiday Home Hamppulahti is situated in Lentiira. Guests staying at this holiday home have access to a fully equipped kitchenette. Holiday Home Pykälä - log village is set in Timoniemi. Guests staying at this holiday home have access to a fully equipped kitchenette. This hotel lies on the shore of Lake Lammasjärvi, and offers free WiFi in the main building, a gourmet restaurant with lake views and a variety of activities for guests. Each guest room at Hotel Kalevala includes a seating area and satellite TV. Holiday Home Mummonmökki is set in Kypärä. Guests staying at this holiday home have access to a fully equipped kitchenette. Kangasjoki Camping is located 11 kilometers from the center of Suomussalmi and offers free parking and cottages with either private or shared bathroom facilities. All of the heated cabins feature a fridge and a kitchenette.